We continue with progress! 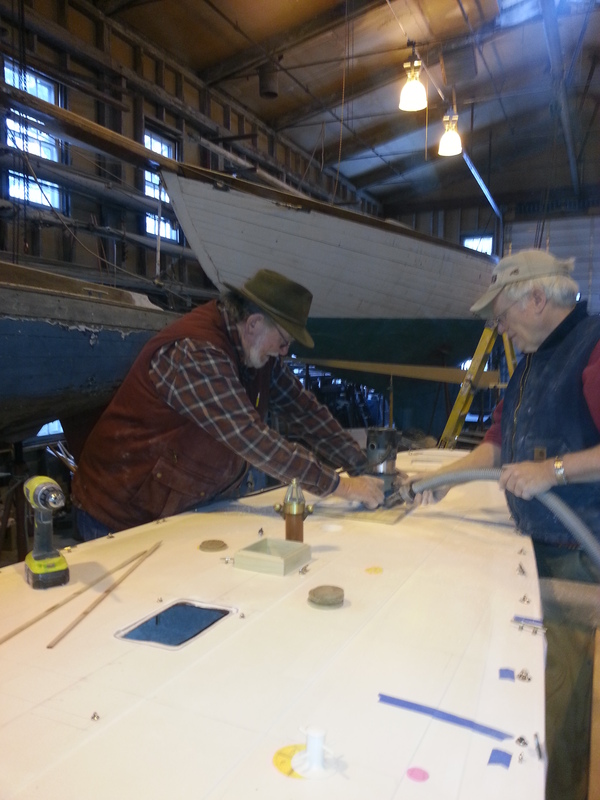 Joe Uzzo is applying canvas tops to the hatches and Bill Lawton is routing out the hole in the deck to match hatch openings. 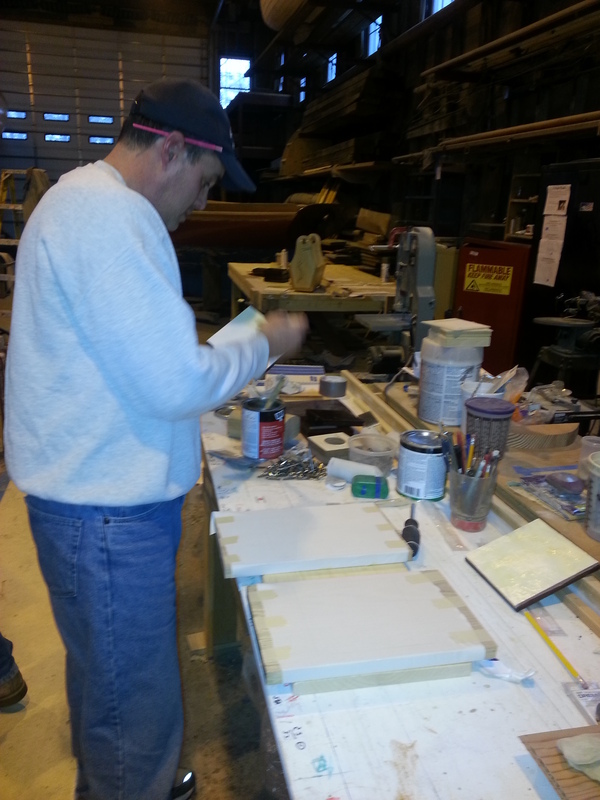 Tim Horton sprayed etching primer on our aluminum chainplates and mast partner plate. Some he then painted steel color. 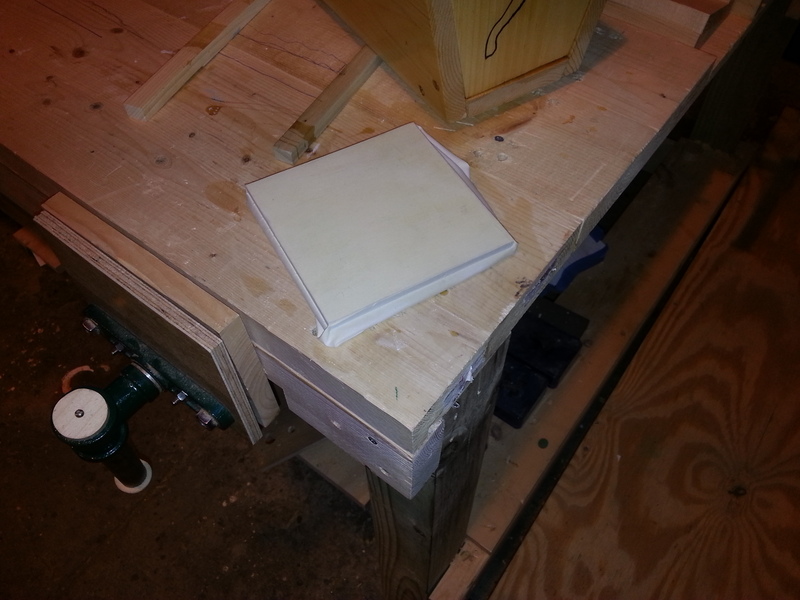 Others will be painted with the hull. 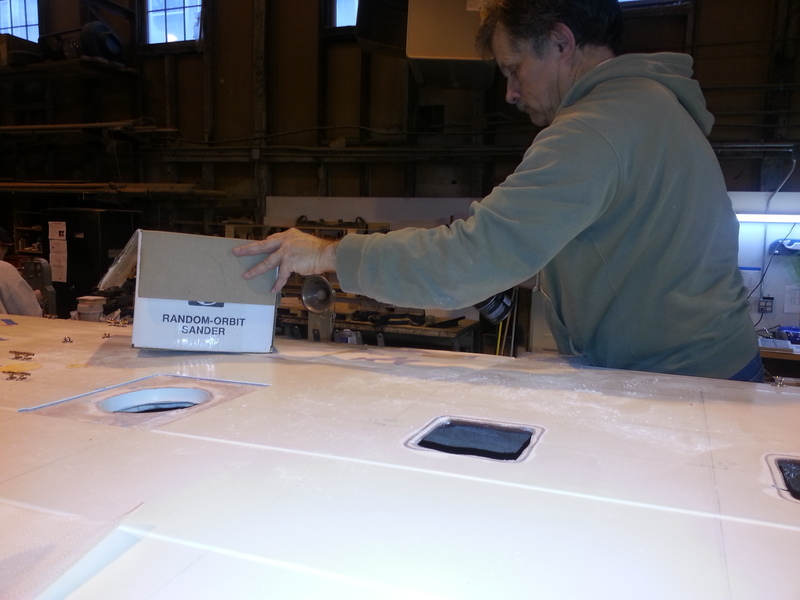 He also has been removing our fittings off the deck and will begin sanding the deck preparatory to laying cork deck and painting the margin plates. 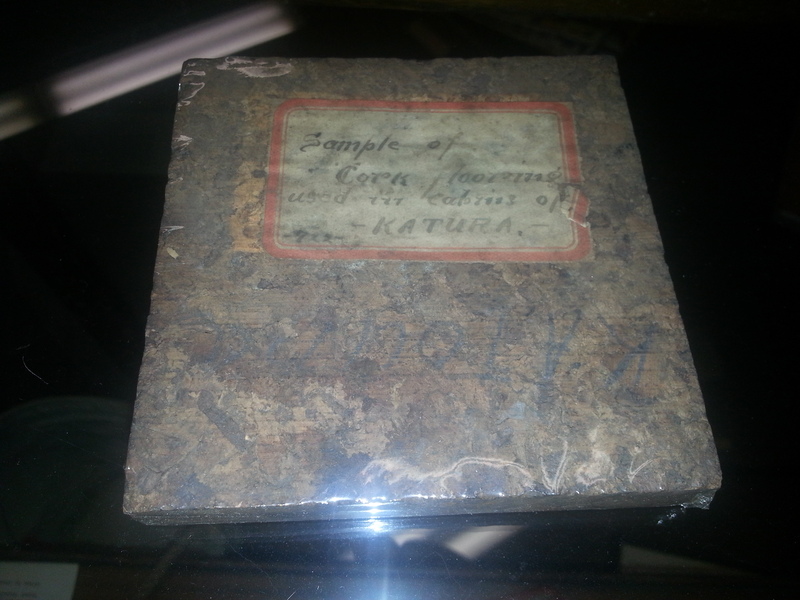 We just found a sample of cork lying on a Museum shelf from KATOURA and feel we have the right cork solution! Tim, Steve Siok and Herb Luther continue to work on RELIANCE displays and the group just submitted a paper for the Classic Yacht Symposium. This piece discusses what we’ve uncovered while building RELIANCE about N.G.H. as a manufacturing engineer as well as a materials, weight and structural engineer. Probably more importantly we discuss what we’ve found about Herreshoff Manufacturing Co as an advanced high tech business with relevance to today’s business. This entry was posted in Project Manager's Welcome and tagged Bill Lawton, deck, hatches, Joe Uzzo, KATOURA, Tim Horton on January 23, 2014 by Herreshoff Marine Museum/America's Cup Hall of Fame.